We have a Team of talented young climbers who represent The Climbing Station at Regional and National Competitions. They train each week on a Monday evening. We hope to continue to coach them to ever harder grades and encourage them to become lifelong climbers. You’ll often see them crushing at the Station, putting the rest of us mere mortals to shame. The Team is invitation-only and we hold a selection event each year. Many young climbers begin climbing in our kids’ clubs. The MY (Midlands Youth) Climbing Series is a fun event organised by parents of local young climbers and the climbing walls of the Midlands. Each round is hosted by a different wall in the region, including a bouldering-only round at The Climbing Station. 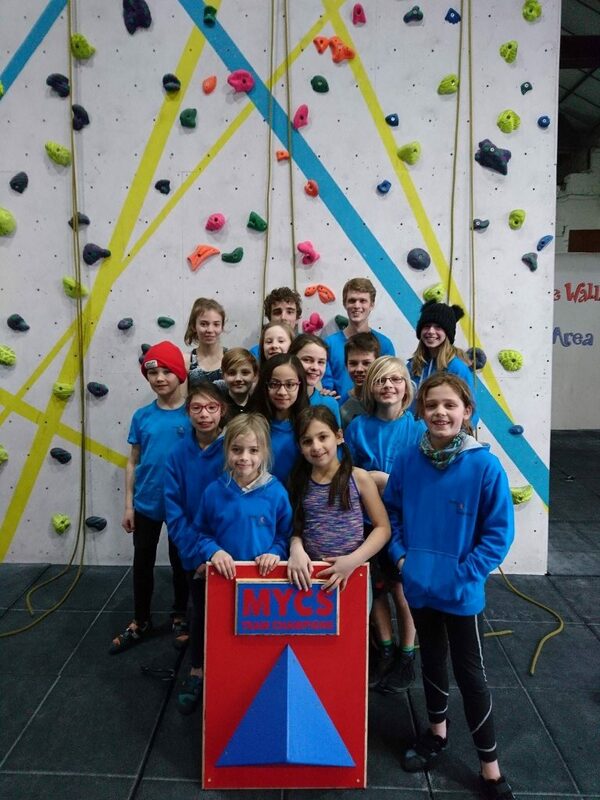 In the 2017-8 season, the Climbing Station won the MYCS Team Trophy for the second year in a row. We are now working hard to retain the trophy this year.